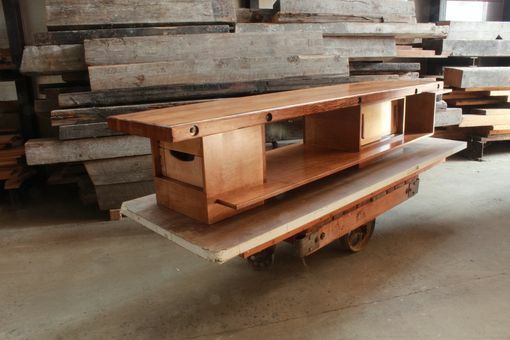 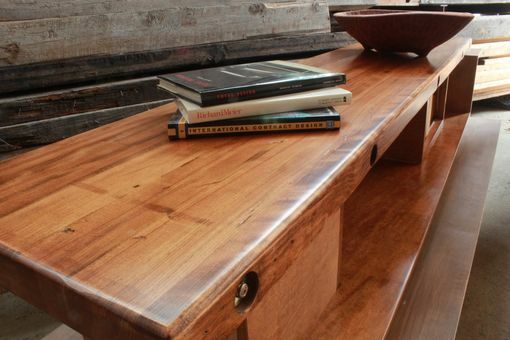 The top of this piece is made from a reclaimed edge grain butcher block slab. 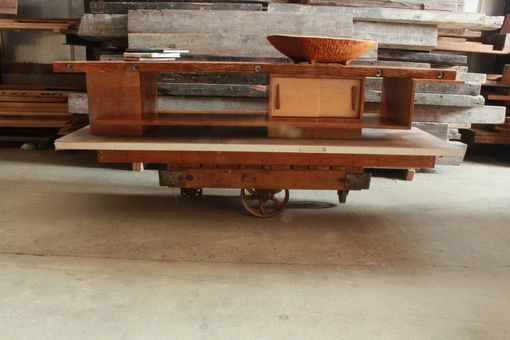 We had to reinforce the top with steel rods which we then accented as a design element. The understructure is made from 3/4" Maple veneer plywood. 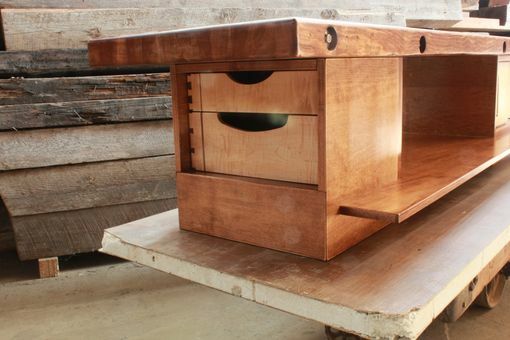 The drawer fronts are select figured solid Maple with dovetail joinery. 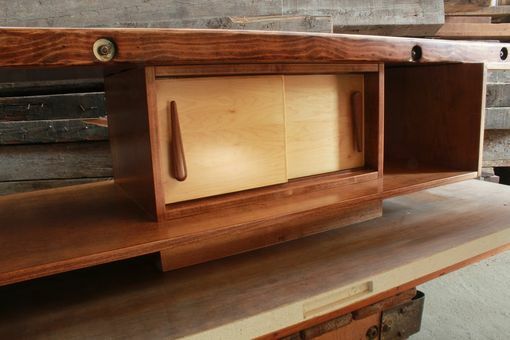 The handles on the doors are custom hand made.